Many major chains and smaller eating establishments are offering free food and discounts to veterans and active military who have proper ID. Veterans Day falls on Sunday, Nov. 11, this year, but is officially observed on Monday the 12th. Some restaurants are only offering the deal on Veterans Day, and others for longer periods. Be sure to check before going. Here are some of the best deals for military members on Veteran’s Day. •Applebee’s: On Sunday, Applebee’s hopes to serve 1 million free meals to veterans, offering full-sized entrees from eight popular menu items. •Denny’s: From 5 a.m. until noon on Monday, veterans and active duty military can build their own grand slam meal for free. •Buffalo Wild Wings: On Nov. 11, the chain is offering a free small order of wings and fries to armed service members. •Chili’s: On Sunday, military can choose from one of seven entrees. •Dunkin’: The chain formerly known as Dunkin’ Donuts is offering a free doughnut on Nov. 11 to veterans and active duty military. •Little Caesar’s: Come in between 11 a.m.-2 p.m. on the 11th for a free Hot-N-Ready lunch combo. •Starbucks: Offers a free tall hot brewed coffee on the 11th. •California Pizza Kitchen: Veterans will get a free meal on Sunday and they’ll also walk out with a buy-one-get-one-free coupon, which can be used from the 12th through the 18th. •Cracker Barrel: They’ll have to buy the meal, but veterans can wrap it up with a free Goo Goo Cluster Latte or double chocolate fudge Coca Cola cake for Veterans Day. •On the Border: The Mexican chain will offer a free ‘create-your-own’ combo meal to veterans, choosing any two items off of the combo menu on Nov. 11. •Outback Steakhouse: Members with a valid military ID can get a free Bloomin’ Onion and beverage on the 11th. And they always receive 10% off their entire check. •Red Robin: Show proof of service and you’ll get a free Red’s Tavern Double Burger and bottomless steak fries at the burger chain on Nov. 11. 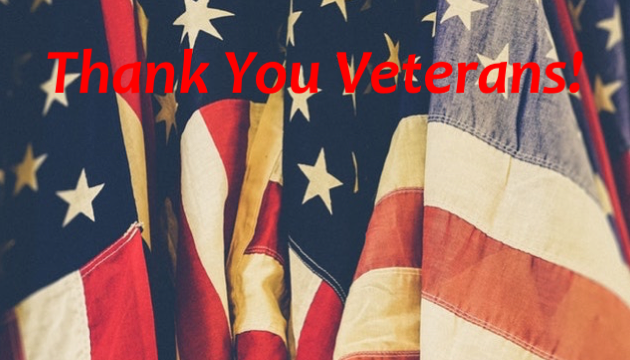 •Red Lobster: For Veterans Day, the seafood chain is offering either a free appetizer or desert on both Nov. 11 and 12 to anyone with a valid military ID or proof of service.